Intermittent fasting is the practice of going without food for longer periods of time than you are used to. You may also sometimes hear it referred to as time-restricted eating. There are many great benefits of confining the time window in which you consume your calories for the day, however many misconceptions still exist. The purpose of this article is to dispel the most common fasting myths so you can feel more comfortable employing this powerful strategy into your daily life. That being said, not everyone can handle a 16 hour fast every day. Some people find that they have a sweet spot in which they feel and perform their best. Intermittent fasting strategies will also be briefly outlined so you can have a better idea of how to implement them into your life. As was mentioned already, fasting is simply not consuming calories for a period of time. When you are asleep at night, you are fasting. It has become popular in the health and performance community to take this window and extend it throughout the morning to take advantage of higher energy levels, mental clarity, and improved ability to burn fat. Another way intermittent fasting is referred to is by the name time-restricted eating. This is because you are simply creating a smaller window of time during the day in which you are consuming food. 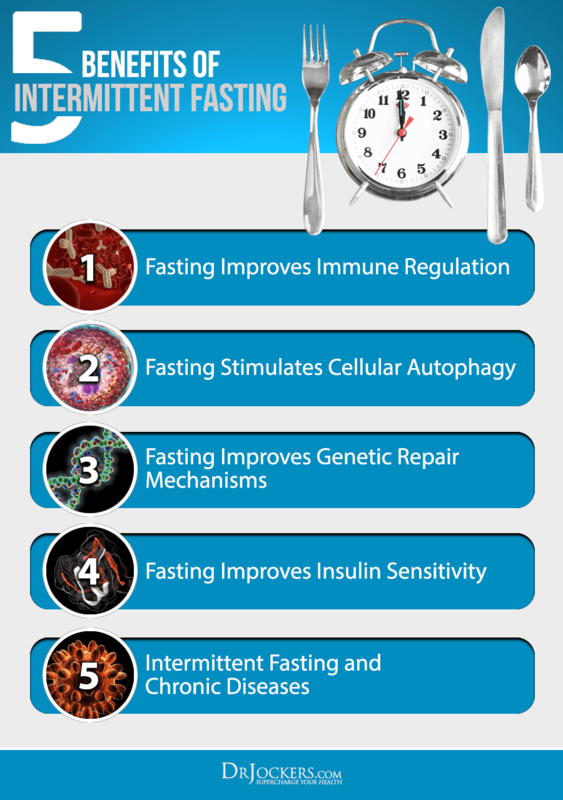 There are various different ways of going about fasting, including simple, cycle, strong, and warrior fasting windows that occur daily and are pictured below. One of the common intermittent fasting myths is that it must be done every day, this is not the case however. Even just performing one 24-hour fast per week has its benefits. People also have success fasting every other day or twice a week. Not eating for a period of time can be very therapeutic for the body. In fact, intermittent fasting boosts the immune system, stimulates the clean-up and recycling of old damaged cells, improves DNA repair, improves insulin sensitivity, and helps to protect the body against a number of different diseases. Additionally, if you are someone who suffers from chronic digestive issues or leaky gut, the extended period of fasting may be very therapeutic. Considering digestive issues are a common source of chronic inflammation and autoimmune disorders today, the benefits of fasting are very wide ranging (1). Despite the evidence showcasing its many benefits, there are still several intermittent fasting myths that continue to circulate today. I am going to break these down one by one and explain what science and anecdotal evidence is telling us. By the end of this article you will be able to determine if intermittent fasting is for you. One of the most prominent intermittent fasting myths is the idea that going without food is unnatural and potentially harmful for the body. This may be because our established dietary foundations have preached three square meals a day for so long. 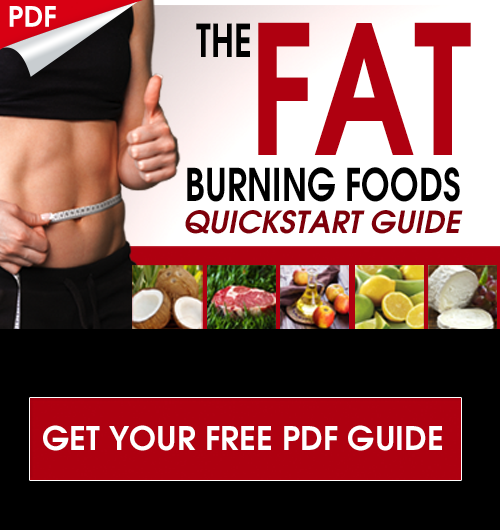 The traditional belief was that we need to constantly take in food to keep our metabolism burning hot. What we know now is that this eating pattern will actually tend to promote weight gain, sugar cravings, and mood imbalances. Times of fasting were relatively common for our ancestors. 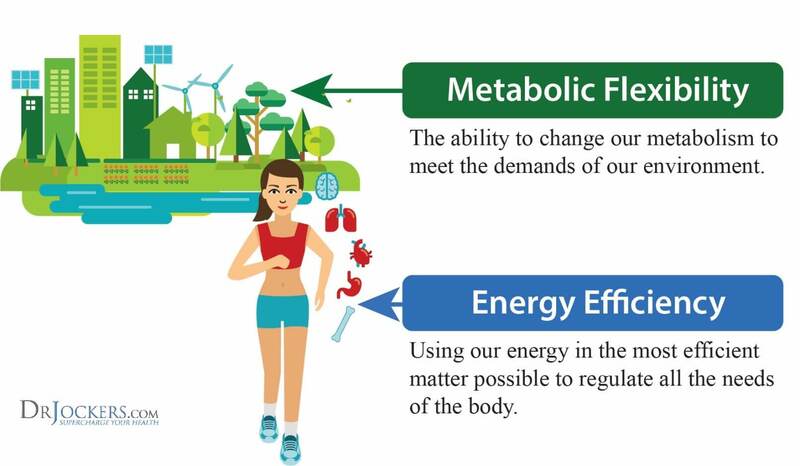 We have metabolic adaptation processes that occur to help us thrive through these times of scarcity. For example, the ability to produce energy from fats signifies that our bodies are well prepared to go long periods with no food. In fact, intermittent fasting seems to have an overall healing effect on the body by stimulating repair and protection mechanisms (2). As was mentioned already, most of us were raised on the idea that we need 3 square meals a day to keep our metabolism burning and blood sugar stable. If these meals are reliant on carbs and sugar as the primary source of calories, however, this eating pattern will tend to promote weight gain, insulin resistance, and an increased risk of heart disease. Research shows that intermittent fasting can actually have a metabolism boosting effect as it promotes a state of ketosis and increases growth hormone levels (3,4). What does slow down the metabolism is actually prolonged calorie restriction. This is why dieting in the traditional sense may not be a great idea. This is one of the intermittent fasting myths that holds some weight yet is easily resolved. All you need to do is ensure you are consuming enough calories to meet the metabolic demands of your body. There are several online tools that can help you estimate your metabolic rate. Fasting doesn’t cause nutrient deficiencies, nutrient deficient diets do! If you are consuming a balanced whole foods diet within your eating window, it is unlikely that you will suffer from any nutrient deficiencies. If you are also following a ketogenic diet and/or consuming caffeine on a regular basis, you may need to hydrate more and consume more minerals by using a high-quality salt on your foods. I typically recommend either Himalayan pink or celtic gray sea salt for this. Other than that, there is very little reason for concern. Of all the intermittent fasting myths, this is one of the most unfounded. In fact, when you fast, your body develops a greater level of nutrient efficiency. When our blood sugar levels are going up and down, we drain much of our nutrient stores. When we fast, we use up significantly less nutrients and are able to retain them for future use. 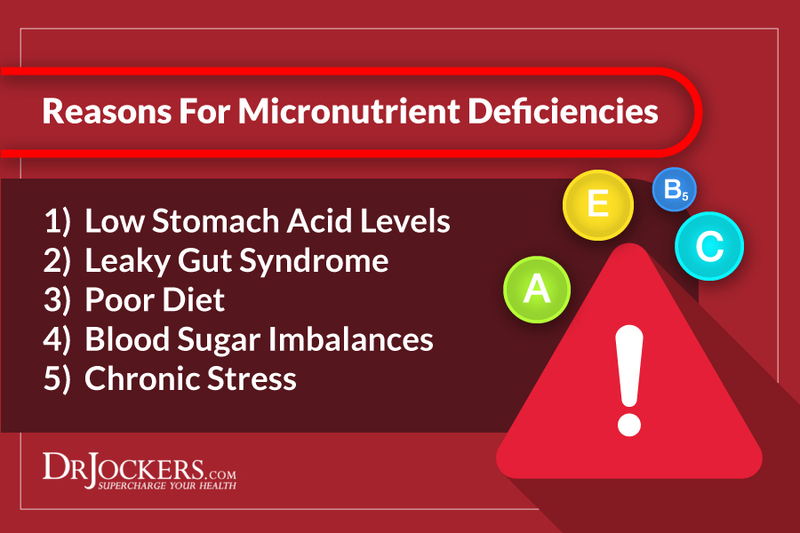 If you are wondering how people develop micronutrient deficiencies than look at this chart and check out this article. One of the intermittent fasting myths originating from the fitness industry is that intermittent fasting will lead to a loss of muscle mass. While it is true that the body will eventually revert to creating energy from muscle proteins during times of prolonged caloric restriction, this is unlikely to happen during a daily intermittent fast. 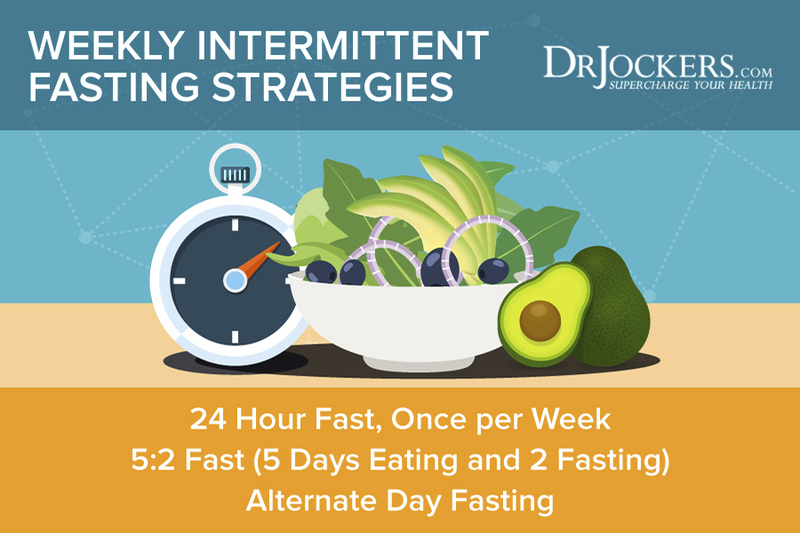 In fact, a recent study showed that alternate-day fasting for a period of 8 weeks stimulated fat loss on average of 12 lbs while there was no significant loss in muscle mass (5). There is actually a protein sparing effect of fasting regularly, potentially from the stimulation of growth hormone. If calories and protein intake are optimized within the eating window, you may actually be able to lose fat and gain muscle at the same time! It is not likely that intermittent fasting would cause an eating disorder. It is possible that a dietary strategy aimed at promoting weight loss would attract those who already struggle with eating disorders, however. To offer another perspective, constant obsession about food and impulsive eating habits are often largely caused by blood sugar imbalances. Following a ketogenic diet while employing intermittent fasting can go a long way in busting sugar cravings. Some people will have the urge to binge eat following their fasting window, which could also be considered an eating disorder. If your goal is weight loss and deriving the many health benefits from intermittent fasting, binge eating will inhibit these benefits. The idea that we need to eat constantly to maintain level blood sugar is an intermittent fasting myth that pervades the diabetic community as well. A recent study showed that intermittent fasting improved weight loss, fasting blood sugar, and helped to stabilize blood sugar after dinner in a group of type 2 diabetics (6). In fact, prolonged fasting may even be able to restore insulin sensitivity in those suffering from type 2 diabetes. As an alternative or combination, following a ketogenic diet for a period of time can help to restore insulin sensitivity as well. The better our insulin sensitivity, the less insulin our body will need to produce and the less inflammation our body will experience. This is very important for individuals with diabetes as it reduces there risk of heart disease and kidney failure. 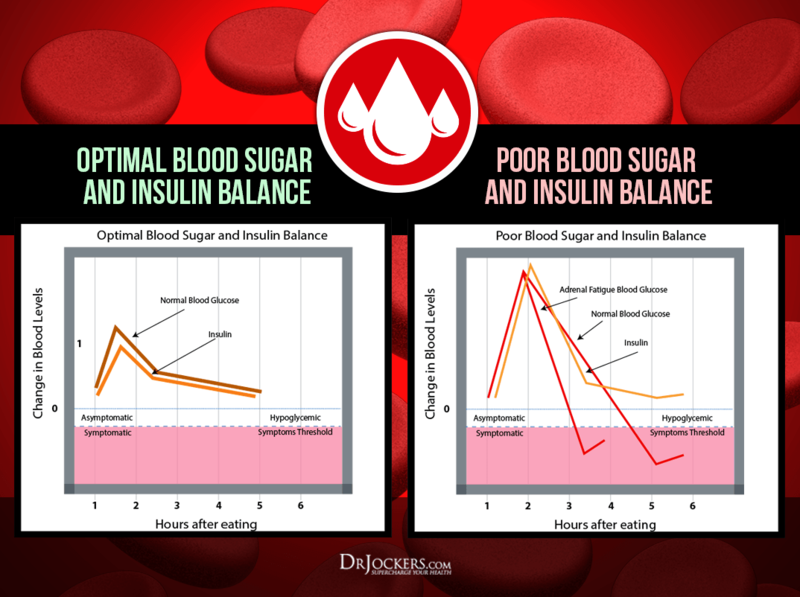 For type I diabetics who cannot produce their own insulin, it is vital to closely monitor blood sugar to do this right. These individuals may still be able to fast for 12 and up to 16 hours daily depending upon how stable they are able to get their blood sugar levels. Blood sugar and leptin largely dictate our eating behaviors. If you have blood sugar instability, you will crave food when it comes crashing down. If you have become desensitized to leptin, you will have a hard time determining when you have had enough to eat. Leptin is a signaling hormone in the body that largely controls your hunger levels. Poor sleep, stress, binge eating, and chronic calorie restriction can all contribute to leptin resistance which will ultimately contribute to the tendency to overeat. It is a common misconception that working out while fasted will lead to muscle wasting. What evidence shows is that, as long as adequate calories and protein are consumed on a daily basis, fasted workouts may actually boost muscle growth. Additionally, there are a number of other benefits including improved fat burning, higher levels of growth hormone, the formation of new mitochondria, and an improved state of ketosis. If you are going to perform high-intensity exercise while fasting on a regular basis, it will be important to ensure you are staying hydrated. If your goal is muscle gain, supplementing with essential amino acids can be very helpful as well. Many people fear this. They think that when they fast, they will get super hungry and irritable. 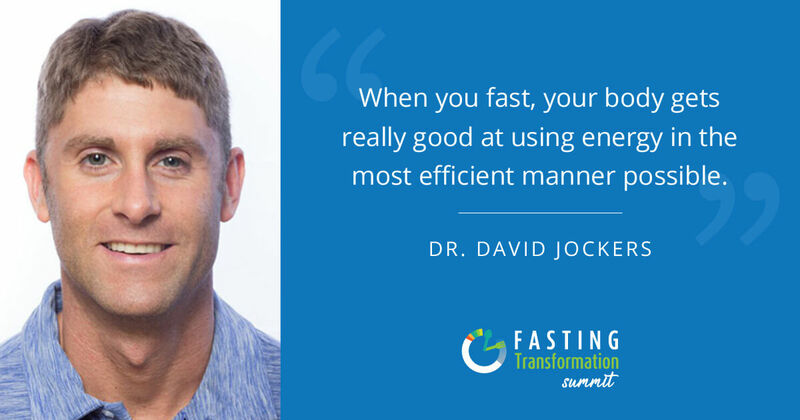 This is one of the fasting myths that may hold some weight, but only temporarily. If you are accustomed to consuming three (or four, or five, etc.) periodically-spaced meals every day, you may feel a little irritable as you are adjusting to a new eating schedule. 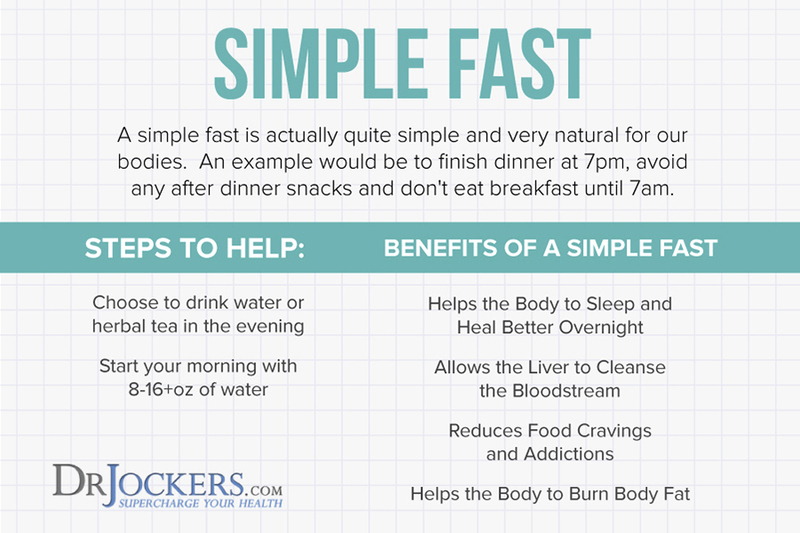 Start by performing simple fasts or just one 24 hour fast per week, on a Sunday for example. This is a great introduction to fasting that most people find it easier than they expected. Start where you feel comfortable and work your way up. There is no rush to perform 16 hour fasts every day! Once your body begins to adapt to going longer amounts of time without food, you may actually notice that you feel best when you are fasting (no cravings or irritability at all). Many people take advantage of heightened mental clarity during their fasting period every day to get some of their most challenging tasks done for the day! Food cravings are often a sign of low blood sugar or dopamine levels. While intermittent fasting may increase cravings for the first few days, in the long run it will help prevent them. Improved insulin sensitivity helps to stabilize blood sugar and ward off cravings as your body become metabolically flexible. If you struggle with cravings throughout the morning, here’s something else you can try: fat fasting. Performing a fat fast during the morning can be excellent for mimicking a fast while staving off cravings. For coffee drinkers, I recommend Turmeric Fat Burning Coffee. For tea lovers, Keto Matcha Green tea is excellent. If you are avoiding caffeine, you can try this Dandelion Coffee Alternative. There are many intermittent fasting myths. Some have merit while others are simply wrong. Here I have laid out some of the most common myths and explained their shortcomings. For most people, intermittent fasting has many benefits. This does not mean that everyone will thrive on the same style of fasting however. 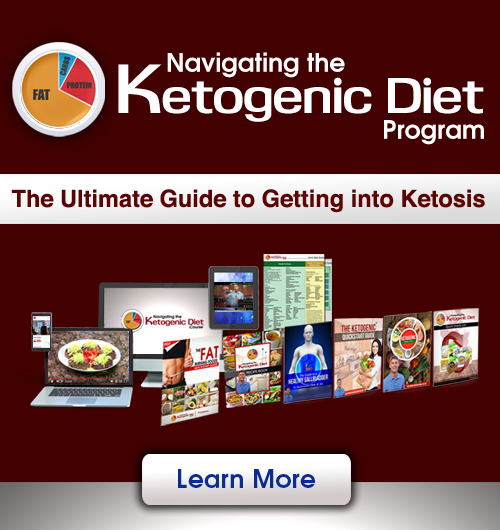 Recently I had the pleasure of enjoying the presentations of many of your guests on the Keto summit. I have your quick start program which I purchased a few months ago and find it helpful in my journey with Keto.Down25 lbs and just finishing a 3 day fast.Am 71 and have Metabolic syndrome so I have had to grit my teeth and soldier on at times when progress was eluding me. Trouble getting my bld sugars down but this AM I’m sitting @3.9and feeling good in myself.So want to say Thank you.I have a question about one of the early quests on the series who spoke of cancer in dogs and general pet care.I wud like to contact him regarding an alternative approach to treating a heart murmer which my dog is being treated for. I believe the guest was Canadian.Many thanks. What are the benefits of longer fasts. Eg I try to do a 60 hr fast once monthly to detox. Is this helpful? ( I also do the 16-18 hr fast 4-5 times per week).